Arkin takes the classic dot and turns it into a work of art. The colour combination and playful patterns turn any hallway into an exciting place to come home to. Created for indoor or sheltered spots outside the home, we suggest placing it by the front door to greet guests upon arrival or pop in the porch to near muddy boots. 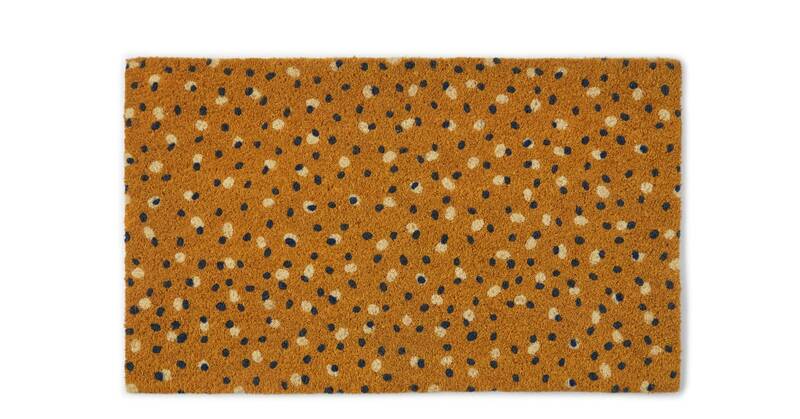 Crafted in coir – that’s a tough blend of coconut fibres – simply shake or brush the doormat for a speedy clean.